Sidewalk Accidents — Who Is At Fault? Pedestrians can be injured in sidewalk accidents by being struck by a vehicle or due to defective or improperly maintained grounds. These accidents often result in serious injury or even death. No matter what circumstances are involved, an injured pedestrian may be entitled to financial compensation if someone else’s negligence caused or contributed to the accident. Whether your accident was caused by a vehicle or a slip and fall, it is in your best interests to retain the services of a personal injury lawyer. 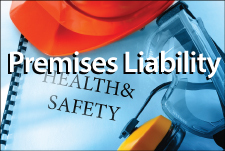 They can work with the insurance company and all liable parties on your behalf. At Chambers & Noronha, we provide quality representation to pedestrians who are injured in sidewalk accidents. Our attorneys work with clients throughout Orange County and Southern California, helping them to seek the compensation they deserve for medical bills, lost wages, pain and suffering, and other damages. In wrongful death claims, we can also help with coverage for funeral-related expenses. Negligence is the failure to act in the way a reasonable person in a similar situation would. In sidewalk accident cases, particularly pertaining to slip-and-fall cases, the injured party must prove that the other party failed to protect them from foreseeable risks. When injuries were caused by a vehicle hitting a pedestrian, the failure would be due to the action or wrongful act rather than failing to fix a cracked sidewalk, for example. Regardless of whether it was negligence or a wrongful act that caused the accident, we have the legal experience to build the best possible claim on your behalf. We will work vigorously to maximize your financial recovery, and will not charge a legal fee until we obtain compensation for you. Contact our firm today for a free, no-obligation case evaluation. Call us at 714-558-1400 or send an online message using the form on this website.